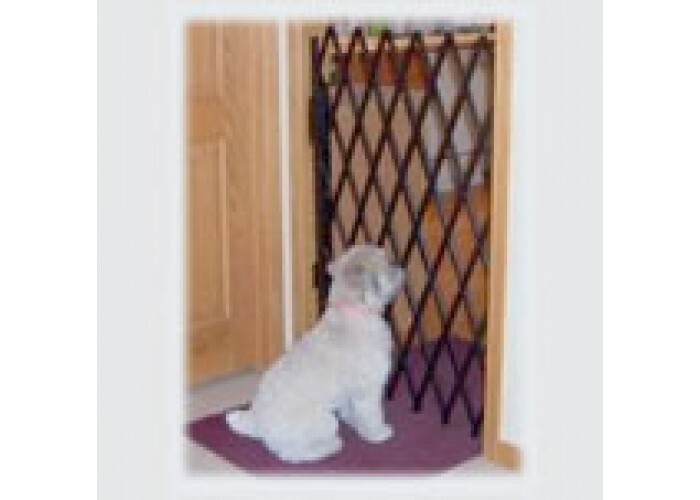 Steel folding pet gates help control large and active pets because they are taller and stronger than conventional wood or plastic pet gates. They are 4 feet high when stretched across a 36 inch doorway. They work best for pets that will not fit through the 4-1/2 inch wide by 10 inch tall diamond shaped openings. 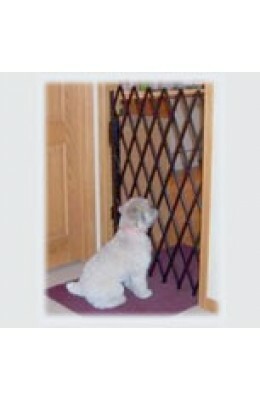 The pet folding security gates are made of steel channel and painted black enamel. They permanently mount on the left side of the door opening, either in the opening or on the face of the opening, and stretch across to mate with a locking bar that is mounted to the opposite side of the opening.